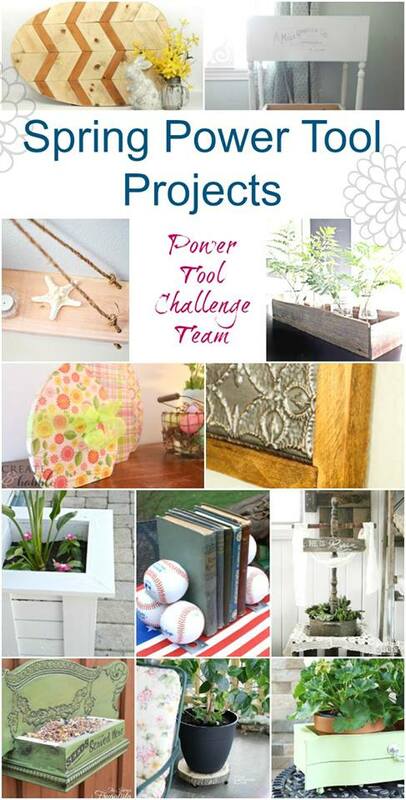 It’s time for another Power Tool Challenge! 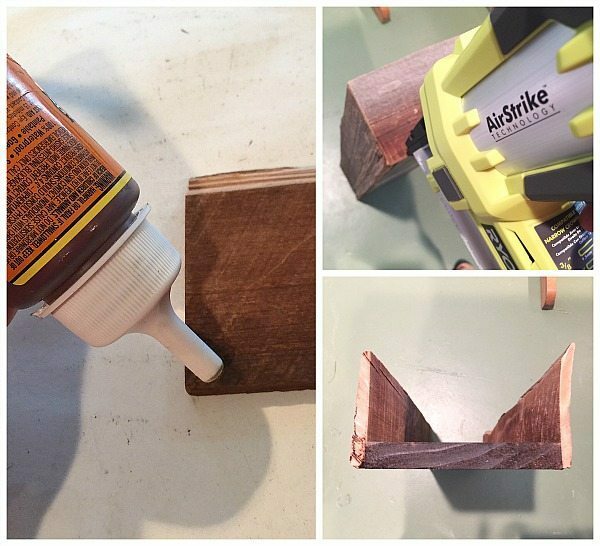 Lots of woodworking ideas at the end of the post, to challenge you to get those power tools out and create something! 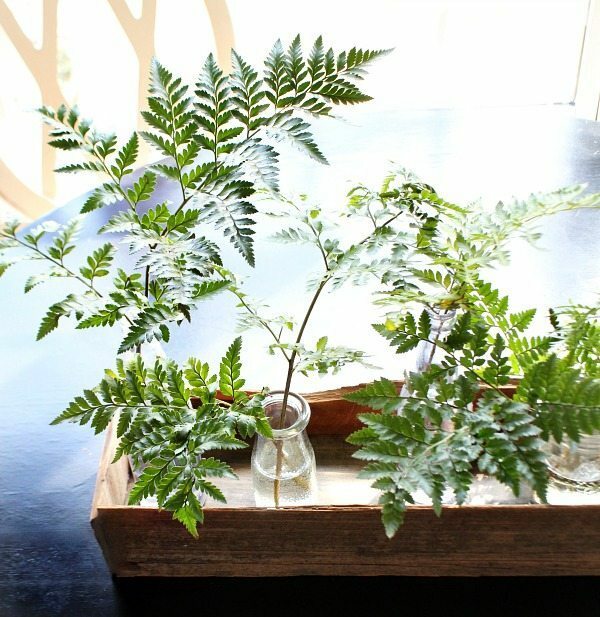 With a variety of glass jars, old cola bottles and few ferns – I created this farmhouse centerpiece. Because you and I both know that I don’t live on farm, but I wish I did. I imagine that I would have an abundance of barn wood if I lived on a farm. Ends – 2 each cut at 6 1/2 inches I used barn wood (this measurement will change for you), depending on what kind of wood you use. Allow for the width of the bottom board plus 2 boards for the side. 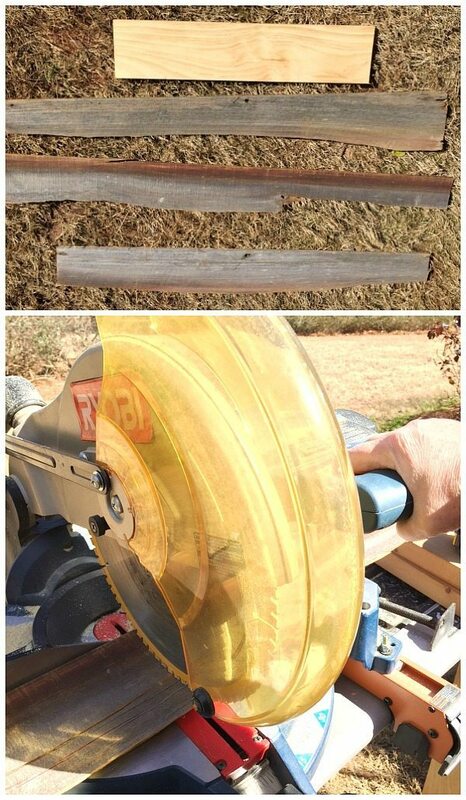 Cut one board for the bottom at 25 1/2″ and two for the sides at 25 1/2″. The two ends can be measured after you attach the side boards, your measurement will be different as I used scrap barn wood. After I made all the cuts, I stained the bottom board. To assemble, I put a line of glue on the edges and used the staple gun to secure. The staples and glue are plenty to hold the box together. I love it. It’s rustic and elegant at the same time. Beautiful! Makes me want to get mine back out of storage! Three things: 1. It looks great! 2. I make these all the time to sell–I sell them for $15 at the barn shows I do, and they fly out. 3. YOU DO NOT WANT TO LIVE ON A FARM unless you can pay someone to do all the work. You must trust me–I grew up on a farm. You probably just want to live out in the country in a farm-like setting. Farming is a ton of hard work. A farm-like setting is nice. Maybe just have two goats. And one peach tree. How I love Tool-Diva posts! And so clearly didn’t know what I was doing, lol! This has so much value! Beautiful Debbie and I love that you can use it all year round too! Beautiful and it will be useful for decor in any season. 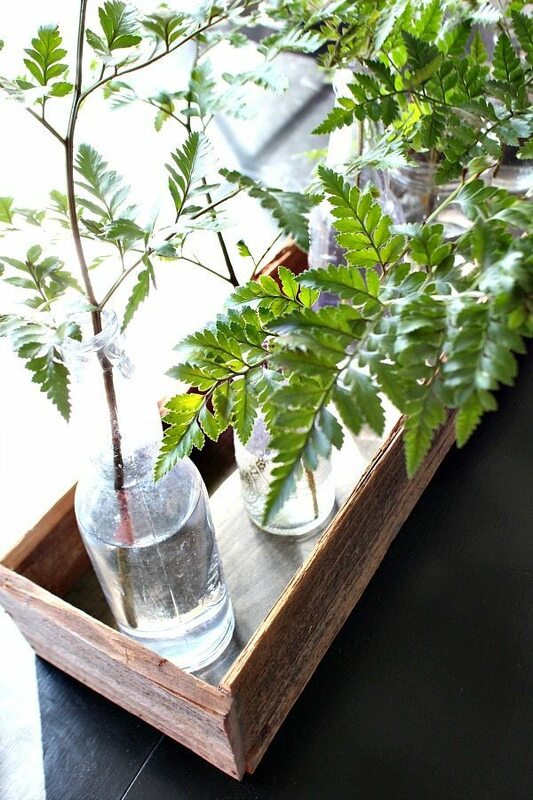 I love the ferns in bottles that you are using in it now. 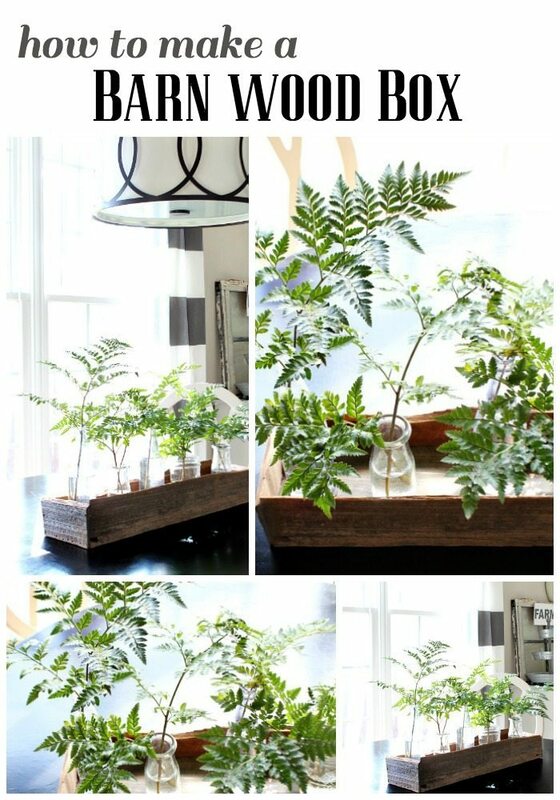 Love the use of old barn wood for your planter box. 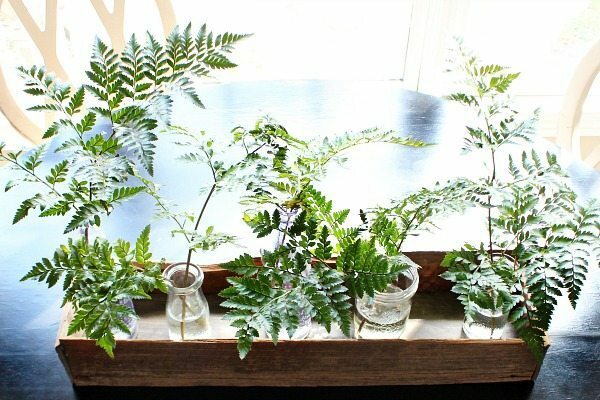 The ferns in clear bottles are perfect for Spring! So beautiful! 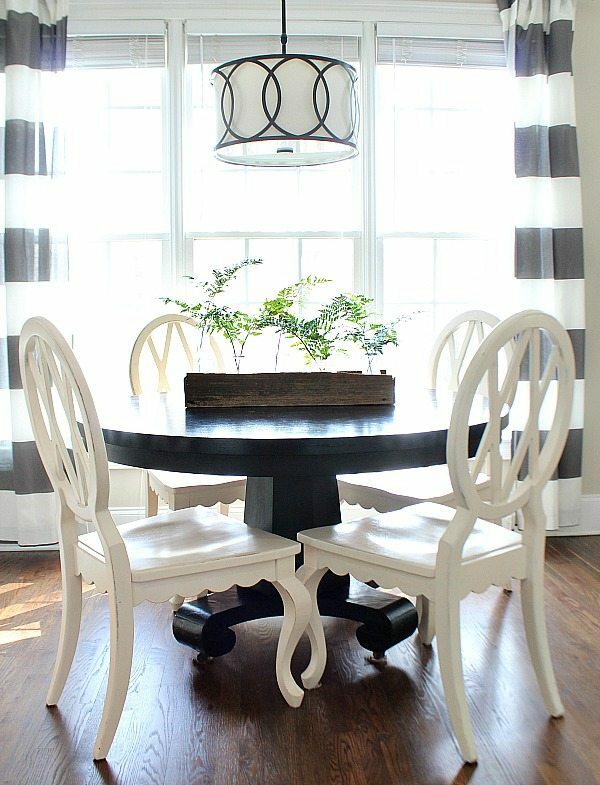 I love the rustic boards you used – a simply fabulous project! Perfect for so many things. Great tutorial too. 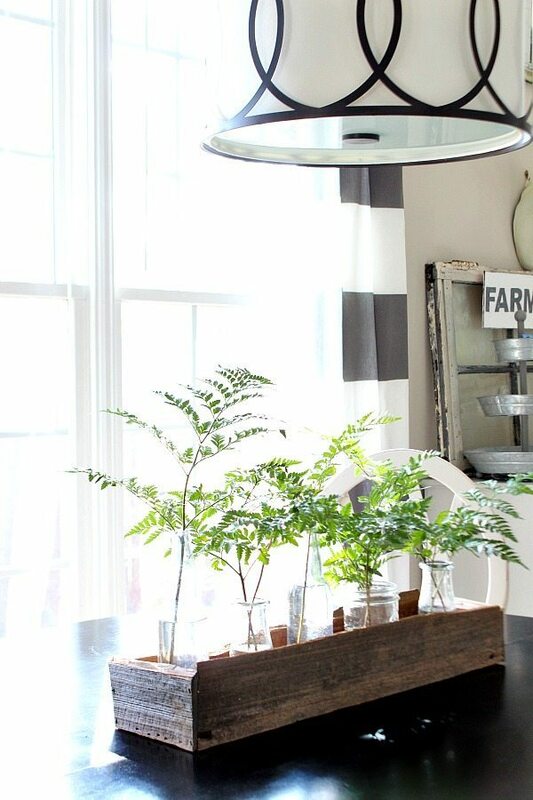 You’ll have so many uses for this wood centerpiece! I love it with the greens and vintage looking bottles. So spring like! debbie, i adore this! the fern leaves in it are perfect!